Dog City Press is a collaborative of CCS graduates with a predilection for making exquisitely handcrafted comic anthologies. 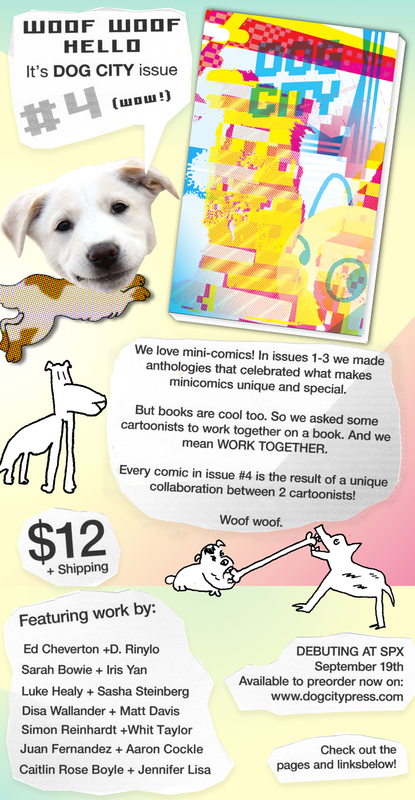 Their past three issues have consisted of screen printed box sets filled with minicomics. Dog City 4 will be a real-deal book, with a spine. And this is interesting: each story is a collaboration between two cartoonists. You can pre-order it here. 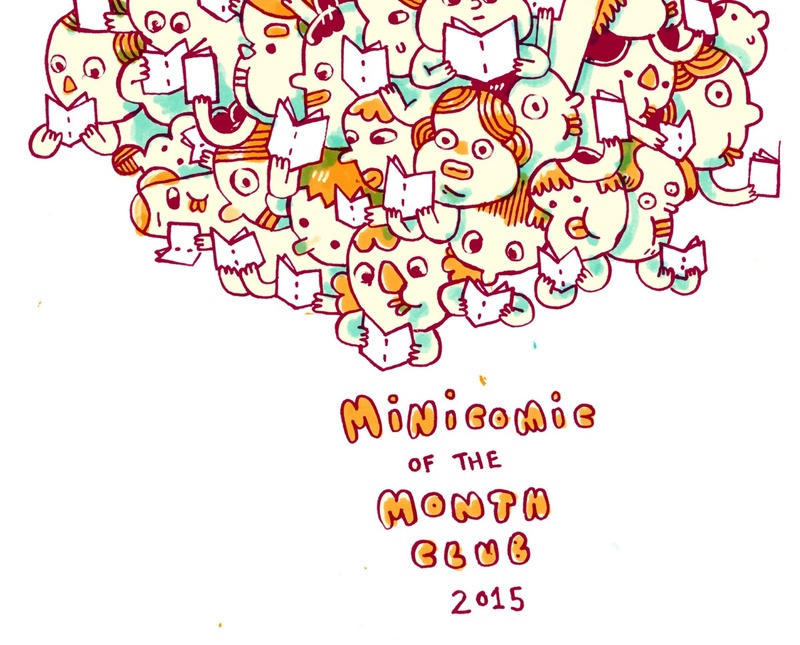 Smaller Comics is once again offering their Minicomic of the Month Club. I subscribed last year, and I enjoyed the variety of material I received. They’re always a short read, but good. It’s $48 for the year if you live in the US—a bargain, if you ask me. 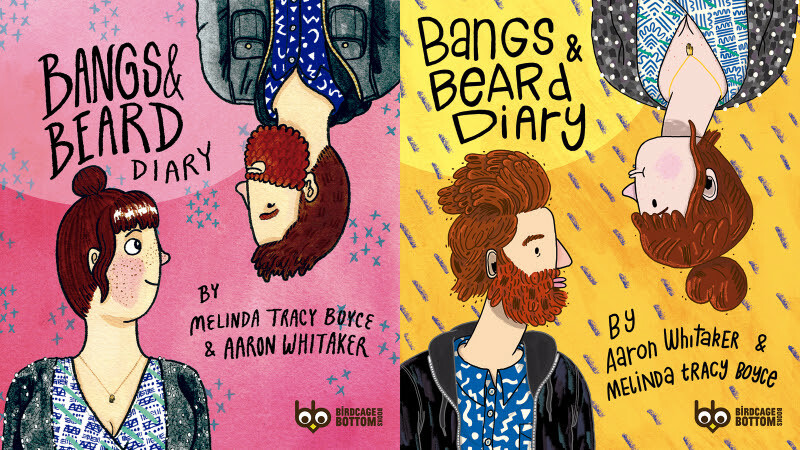 Birdcage Bottom Books is releasing three new books: Bangs and Beard Diary by Melinda Tracy Boyce and Aaron Whitaker, Left Empty #1 by Jamie Vayda and Alan King, and Pyramid Scheme by Josh Burggraf and Victor Kerlow. Bangs and Beard Diary is on my list of SPX debuts to pick up. Looks cute! I was too timid to contribute to Cringe, but I like the subject matter. Peter S. Conrad is the editor, and Birdcage Bottom will be publishing it. There are plenty of good folks on board (I’m excited to see new work by Gabby Schulz). This is basically a pre-order Kickstarter, as the book is made and just needs to be sent to the printer. A pledge of $11 gets the book delivered, and there are bundles for retailers too. 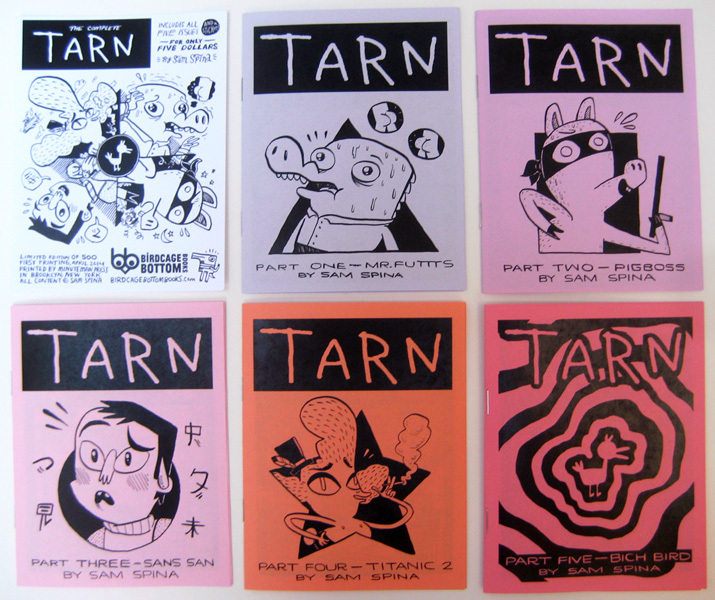 Indie distributor Birdcage Bottom Books is releasing its latest published work, a 5-issue set of Tarn by Sam Spina. Each issue is 12 pages and each is printed locally on a different color of recycled paper. It’s available for pre-order now. Wow, Birdcage Bottom is pretty interesting. It’s primarily a 1-man distributing empire, with a small bit of publishing too. As far as I can tell, it’s a viable (though, I’m guessing, modest) business endeavour. Proprietor J.T. Yost really gets the social media thing, and has designed a lovely website to boot. He runs Birdcage Bottom with an entrepreneurial zeal that’s rare in minicomics. J.T. also announced the latest titles in his distro, which you can find here.